Small Town Community ... Big Time Results! Let us reveal your true potential ... a potential you may never have thought possible. We'll believe in you, even when you do not believe in yourself. You can do this! We are super proud of our BOXEN community ... a community centered around a culture of support, accountability, honesty and friendships. Come on in and meet us … we are John & Cheryl Faust. After more than 35 years of owning and operating a custom cabinet shop, we’ve decided to pursue our passion for fitness and opened BOXEN in February of 2017. We’ve been Village of Richfield residents for nearly 20 years and are thrilled to now be part of our business community as well. If you’ve never punched or kicked for fitness, you may be surprised to learn how gratifying it is … and a great stress reliever too! We are excited to bring the craft of boxing & kickboxing to our community, in the form of exercise, to everyday people, at any skill or fitness level, in a non-intimidating, extremely friendly and inviting environment. Our new space, in Hubertus, has allowed us to add ringside boot camp and a boutique style weight room area for strength training. John is a Certified Personal Trainer, former boxing & kickboxing competitor and lifelong martial artist. John’s passion for fitness and his ability to bring out the best in his clients is evident during each training session. He revels in sharing his years of knowledge with others and advancing the physical & mental fitness of everyone he works with. John firmly believes that consistent training is time well spent and an investment in your long term health & happiness. His goal is to empower you with skills, knowledge, and support … and to inspire you, one workout at a time, on your journey to a healthier, more athletic life. Currently studying for her BNB certification, Cheryl absolutely loves training people and sharing her passion with clients looking to get fit and improve their quality of life. She helps BOXEN clients gain confidence and reach their goals through her positive energy and support. Her passion in fitness has always been running, strength training and functional fitness. 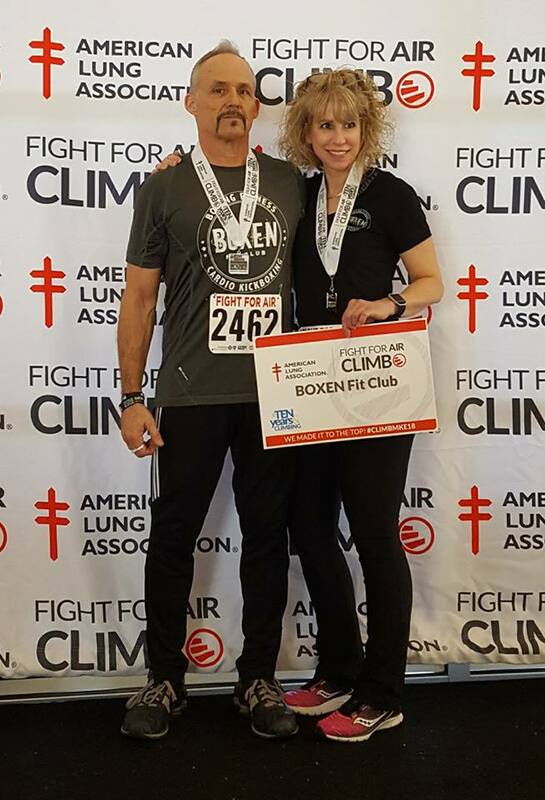 As a long time spectator of combat sports, Cheryl discovered her love for practicing the sweet science of boxing, when BOXEN first opened in 2017. Cheryl brings a beginners perspective and enthusiasm for learning the intricacies of the craft and can easily relate to clients that have never thrown punches and kicks before walking through the front door at BOXEN. John & Cheryl are both CPR/AED certified.